Welcome to the first round of This Was Television’s Hall of Fame. As described in our original announcement, Cory and Les (for now) will each be selecting three different shows in the categories of Drama, Comedy, and Wild Card. Each will present a brief case for his show’s inclusion in the Hall of Fame and debate the merits of both shows for inclusion. Then we’ll open it up to voting from the This Was Television readership. After voting has concluded, we’ll announce the winners and enshrine them in the Hall of Fame (with an appropriately shiny description), along with an announcement for our focus over the next month. To remind you of the rules and forestall the inevitable cries as to why we didn’t include some of your favorites starting out: shows are only eligible for the Hall of Fame if they’ve either a) completed their runs and been off the air for a minimum of five years, or b) been on the air for long enough that their worthiness to be considered is without question. In cases of the latter, those circumstances will be discussed and agreed upon by both members of the Hall of Fame’s august voting body. Again, please note that selection of these shows aren’t meant to serve as a last word on which shows represent quality, nor should they be seen as us recognizing one show at the expense of the other. This is just us having fun, talking about the shows that we think are important and talking about why we think they mean something. First up: Drama. Les starts us off. Legacy in one sentence: Television’s original auteur serialized drama. Les: My reasons for inclusion? While one could argue that The Twilight Zone did more to bring a particular flavor of weirdness to television, there’s not a single serialized drama in the last 20 years that doesn’t owe something to Twin Peaks. The presentation of one overwhelming question (“Who killed Laura Palmer?”) was secondary to the world David Lynch and Mark Frost were presenting, a world filled with blackmail, adultery, and damn fine coffee. Twin Peaks was about diving into the intrigue hidden behind small-town America and the old evil in the woods around it, and in doing so managed to create some of the most iconically strange moments and characters that have ever been seen on primetime network TV. Coming also from Lynch (the auteur filmmaker behind such works as Blue Velvet and Wild At Heart), Twin Peaks opened the door to making television seem like a more viable medium for ambitious storytelling—a move that would be slow in coming, but which cable networks would take to with gusto. While it may have failed spectacularly as it continued, it still reached further than any show ever had before. Cory: Les, I had a feeling that you were going to pick Twin Peaks, both because I know you a little and because it’s a tremendous choice. Peaks was on my initial short-list for this opening round of discussion and really, it’s hard to argue against it. Lynch and Frost’s to-this-day equally weird and compelling drama established the mysterious and convoluted road that so many series would later travel down. It also, for a very short time, became a legitimate cultural phenomenon: Big ratings, magazine covers, and a Saturday Night Live hosting gig for Kyle MacLachlan. Even some of the shows and people we consider fundamental to today’s television world can’t say they did that, and Peaks did it all in an era when being a mass culture hit meant something. Without viewers really realizing it, Lynch, Frost, and Peaks taught them how to fall in love with and follow mythology-based serialized dramas, skills they’d need quite often in the years to come. But while I love that pick, I’m going much further back in the archives (that’s what we wanted to do with this silly website anyway, right?) to a show that I haven’t seen a lot of, yet but whose accomplishments I can’t help but greatly admire. Legacy in one sentence: A foundational anthology series that helped established television’s storytelling credentials. I know that vouching for Playhouse 90, an anthology series that ran on on CBS from 1956–1960, is probably a lost cause against the more recent and more visible Peaks. I’ll also admit that I haven’t seen much of Playhouse 90 outside of the slew of random clips I watched on YouTube over the last few days. Nevertheless, reading about the project, first in Christine Becker’s book that we discussed here on the site and in other corners of the web, has convinced me that this is a program worth acknowledging, even if we haven’t necessarily seen all 100-plus episodes. Your points about Lynch and Peaks as the first “auteur” serial drama are valid, but Playhouse 90 offered the same sort of creative outlet for some of the industry’s biggest and brightest writers, directors, and actors in a time that was defined by disarray and the destabilization of the studio system. John Frankenheimer directed a big chunk of 90‘s 90-minute teleplays (that were initially live but later went to tape). Rod Serling (his Requiem for a Heavyweight is one of the most respected pieces of TV work ever), Aaron Spelling, and Leslie Stevens, among many others, penned scripts for the anthology. Jackie Gleason and Mickey Rooney made strong attempts to recontextualize their careers there, while others like Polly Bergen, Claude Rains, and Charles Laughton won critical acclaim and awards for their performances. Playhouse 90 took home numerous Emmy awards, including the Best Anthology Series, a big-time category at the time, multiple times. 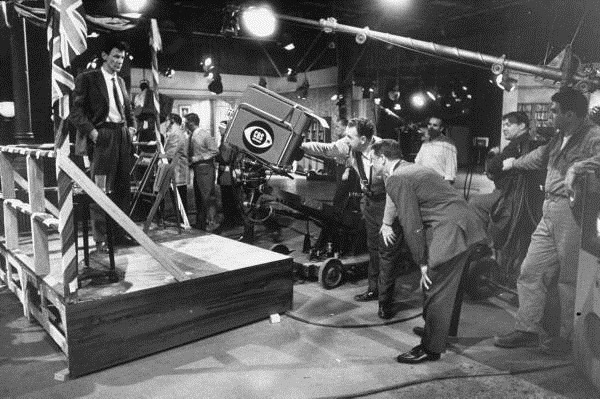 It was one of the first productions to film at CBS’s Television City. And it was one of, if not the, last big live anthology series, a format that started to die out once the expenses simply became too high. The anthology series didn’t have as much influence or impact after Playhouse 90, so it stands in contrast to Peaks in that regard, but we could also argue that 90 set the bar so high that it wasn’t even worth trying to compare. In some ways, that lovely and insane Twin Peaks pilot would have fit right in with the rest of Playhouse 90. Les: Cory, I have to say I’m surprised by that choice, but it’s one I can’t argue with. While like you I haven’t seen very much of Playhouse 90, the research I’ve done on the show inspired by It’s The Pictures That Got Small convinced me it certainly belongs in the conversation. It had a murderer’s row of stars and writers that are very well respected even today, and as we talked about at great length when we discussed that chapter, it gave Hollywood stars like Mickey Rooney and Peter Lorre a chance to subvert the personas they’d had to cultivate in the studio system. The writing, as you say, was top-notch, and several of them were even able to make the upgrade to feature film status: you mentioned Requiem for a Heavyweight, but there was also The Helen Morgan Story, Days of Wine and Roses, and Judgment at Nuremberg. 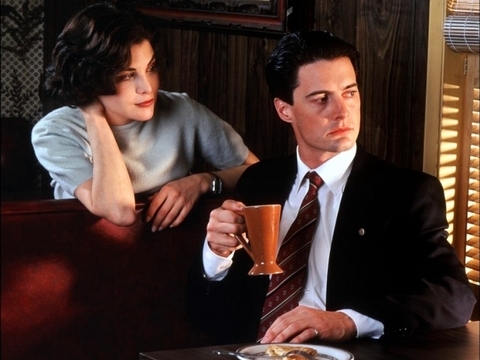 I completely agree with your point that the pilot of Twin Peaks could have fit in easily to the mold of Playhouse 90 offerings, and were the series still airing in 1991 I think it would have been a feasible choice for Lynch and Frost to bring the show there. But I still have to give the nod to Twin Peaks, for three reasons. The first was that while the Playhouse 90 entities were closed-off, Twin Peaks kept going. Lynch and Frost’s ambition to create what Frost dubbed “a sort of Dickensian story about multiple lives in a contained area that could sort of go perpetually,” or a murder mystery where ideally the murder was never solved, was experimental to a degree few other shows had tackled. Obviously it didn’t invent serialized storytelling on television and was borrowing liberally from the soap opera genre, but its idea to turn the show into a perpetual motion machine of story and follow its improvisational rabbit holes was brilliant. Did it fall apart spectacularly? Yes, of course it did. But I give it points for reaching as far as it did. And stemming from that is my second reason: I think the degree to which Twin Peaks changed the conversation around TV shows deserves special recognition, and not just in the SNL/magazine cover manner you mentioned. I’ve been reading Full of Secrets, a book of critical studies on Twin Peaks, and there’s a fantastic essay about alt.tv.twinpeaks, the online discussion group that came up once the show aired. These people would tape the episodes and watch them over and over again, scanning for the little details and offering their own theories on who the killer was. This was Patient Zero for so much of the obsessive analysis that the Internet would facilitate—the comment sections on any Mad Men or Breaking Bad review, or the legion of Lost or X-Files fan sites. Shows have been discussed over the water cooler before, but Twin Peaks made the chat room the first destination. Finally, I’m picking it just because the show’s so goddamned weird. And more to the point, it’s weird in a way that’s permeated the TV landscape, such that it seems like every show that’s off the beaten path gets compared to Peaks in some regard. That very particular Lynchian tone with a focus on duality and surrealism, the marriage of score and story to build the atmosphere, paired with an artist’s attention to detail, is something a lot of showrunners seem to look for. As an easy example, David Chase and his disciples are obviously hugely influenced by Twin Peaks: the dream sequences from The Sopranos and even Boardwalk Empire have strong Black Lodge overtones right down to the red curtains, and I spent at least half this last season of Mad Men claiming Matthew Weiner and company were drinking the Lynch Kool-Aid. So yes, I can’t argue with the importance of Playhouse 90 in the long run. But in terms of their impact in shaping the way TV is created, watched, and dissected, Twin Peaks outpaces it handily, hence why I have no problems making it my first pick for the Hall of Fame.